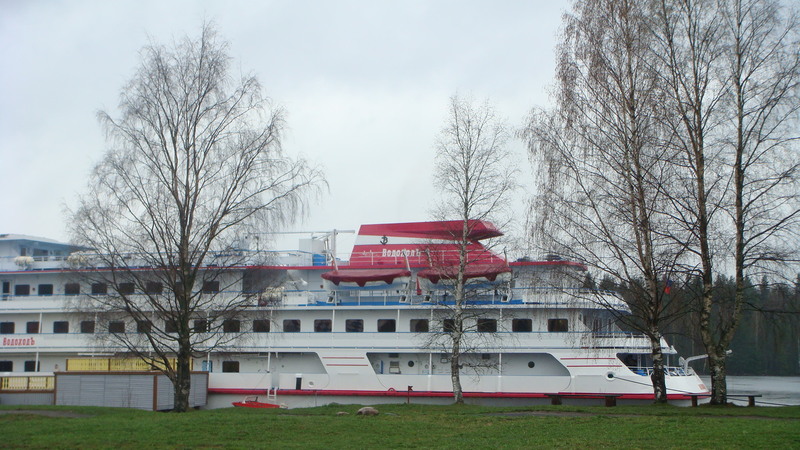 As part of the ISO/IEC JTC 1 19th SC 27 and 2nd WG4 meetings, which was held on board the Motor Ship “Lenin”, cruising from Moscow to St. Petersburg, we get to stop by the village of Mandrogi on May 9, 2007. 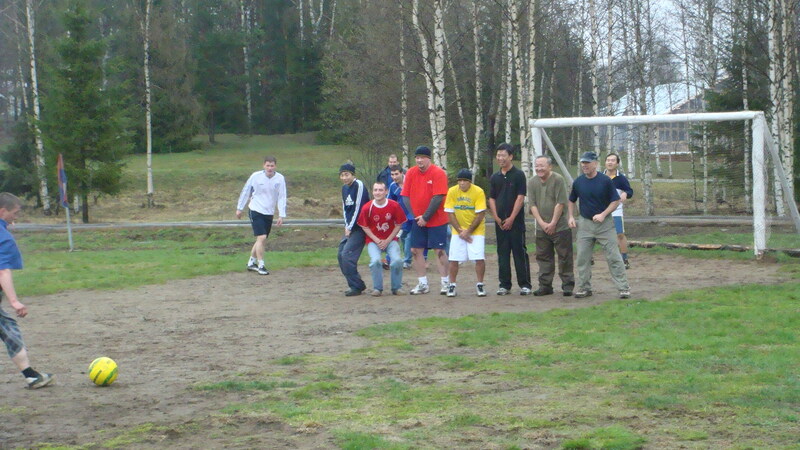 It was raining that morning, and the Convener of WG1, Ted Humphreys, organized a football match to be held between WG1 and WG4 members. 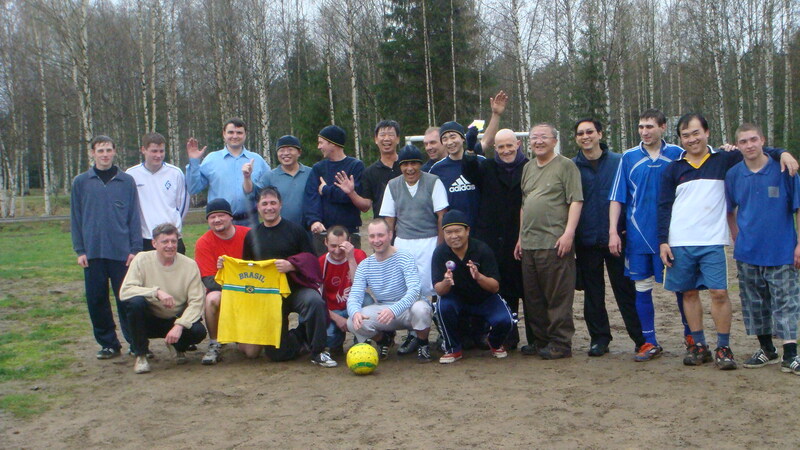 It was meant to be a friendly match for the members to stretch out and have some fun at the green. 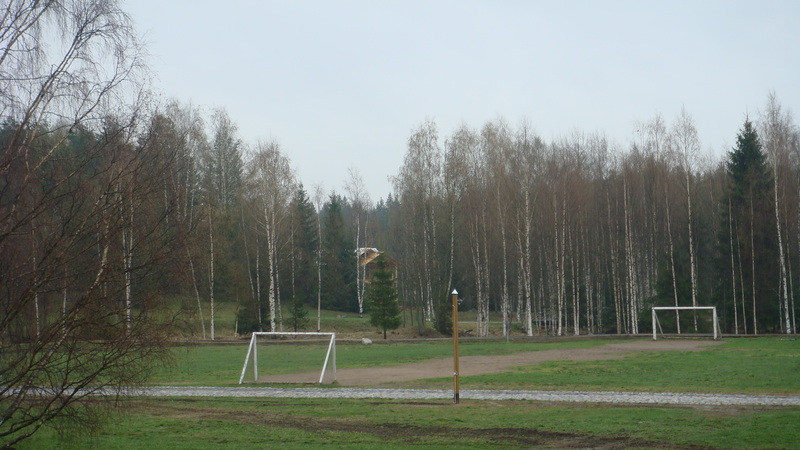 But the rain brought more brown then green. 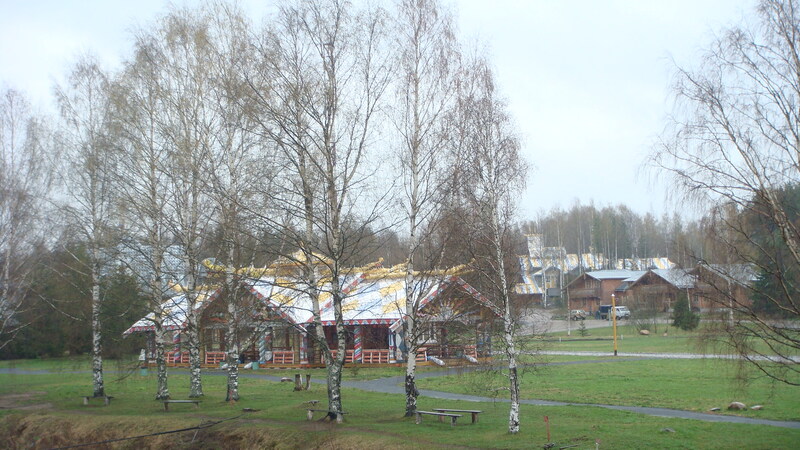 The weather was at below 10 degree Celcius. Anyway, we decided to carry out the plan. 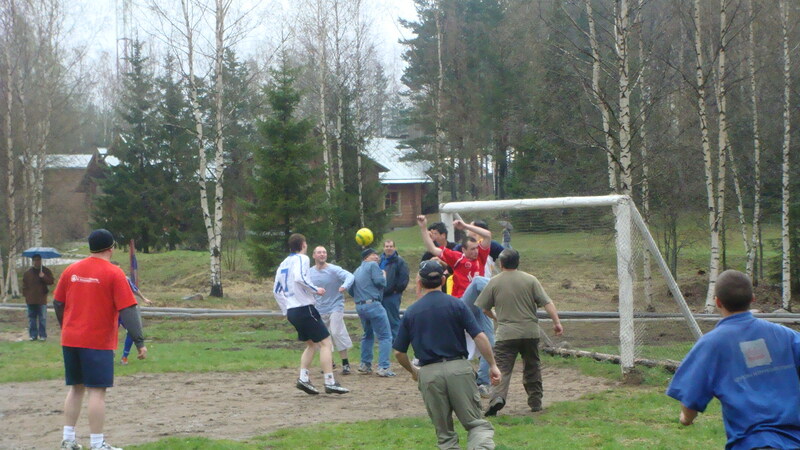 When we arrived at the football field, it was already occupied by a group of young Russian men, who are mostly staff from the Lenin motor ship, and members of the EVRAAS (who organized and host the SC 27 meeting). So we ended up playing a WG1+WG4 combined SC27 team versus the Russian EVRAAS+LeninMS team. I thought the outcome is actually quite interesting, even though it may be obvious from the start. good individuals. They need to train and practice together as a team. Observing the other team, it is also clear that communications is another important element for playing well, and responding well to the game as it unfolds. That involves not just verbal communications using the same language that all members are proficient with (Russian in their case), but also body language and hand/arm signals that everyone understand. While English is a common language we all use in SC27, it is not necessarily a proficient language for everyone, as many have a different native language that they are more proficient with. As an international team, each of us from different national body has a slightly different body language as well. Without practicing together, it is difficult to use non-verbal communication to really signal another player that you are running a different direction than you are pointing. These observations revealed the importance of readiness. Mapping the learning to the world of information security, they also showed the importance of readiness for security response, which is a topic in one of the WG4 roadmap. We call it “ICT Readiness for Business Continuity”. I will perhaps deal with the details of this project in a separate article in the near future. In gist, organization needs to practice (as a team, or multiple teams depending on their roles) in order to be able to respond effectively to the changing risk situations as securty events emerge. Otherwise, much will be left to be figured out during the incident, which is often too late.